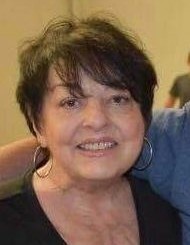 Christina Marinette Brashear, 70 of Viper, KY passed away peacefully Sunday evening of February 10, 2018 at the Greg and Noreen Wells Hospice Center in Hazard. Christina was born October 9, 1948 in Gallipolis, OH to the late Charles Alexander and Virginia Rose Anna Kalonoski Edler. She was the retired owner and operator of the Brashear Funeral Home and Chrissie B’s Flower Shop in Viper, KY. She enjoyed cooking (Best Cook Ever), fishing, traveling, and time with her family. She was of the Baptist Faith. Besides her parents she was preceded in death by her husband, Paul Brashear. She is survived by her 3 daughters, Michelle L. Callahan of Sanford, FL, Rebecca J. Haney of Hazard, KY, and Valorie N. Brashear of Viper, KY; 2 grandchildren, Amanda Marinette (Patrick) Bailey of Hazard and Tyler Keith Gayheart of Hazard; 2 great grandchildren, Alexis Jade Bailey and Oakley Rhett Bailey; 3 brothers, Charles (Sharon) Edler of Michigan, Stephen (Sarah) Edler and Michael (Brenda) Edler all of Salyersville, KY; 3 sisters, Nancy (Dan) Brewer of Colorado, Constance (Barry) Parks of Ocoee, FL, and Marie Jean Bulger of Orlando, FL; she leaves a host of nieces, nephews, other relatives to mourn her passing. Vistiaton is after 11:00 am Thursday (Feb. 14) at the Calvary Bible Church, Viper, KY. until the funeral hour at 12:00 pm at the Church with Randall Haney officiating. Burial will follow in the Resthaven Cemetery at Jeff, KY with family and friends serving as Pallbearers. 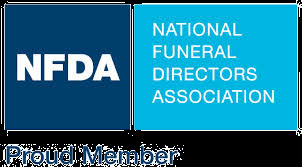 Anderson-Laws & Jones Funeral Home, Harlan, KY is honored to be serving the family of Christina Marinette Brashear.